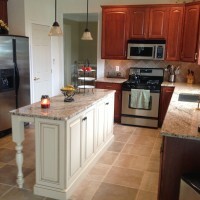 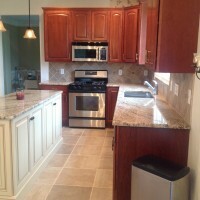 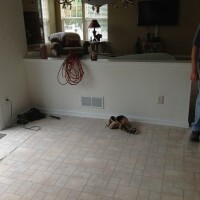 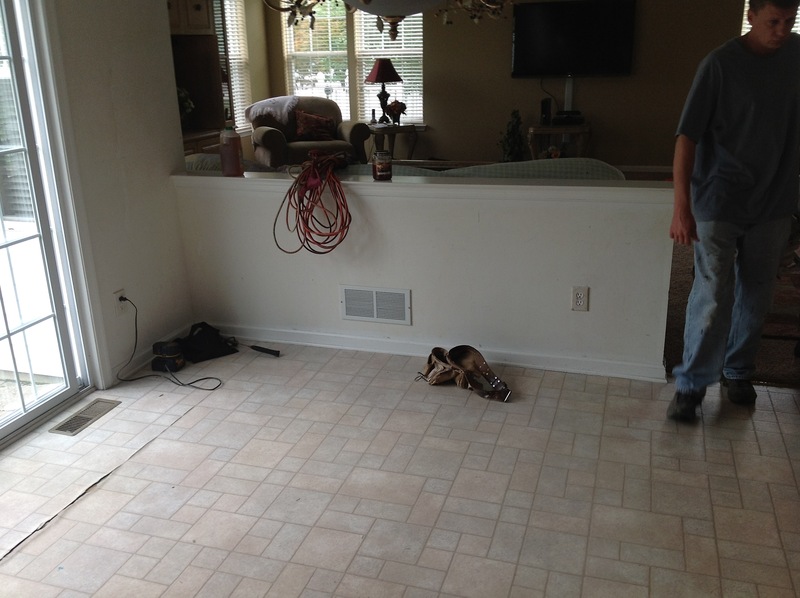 This renovation was as simple update that made a huge impact. 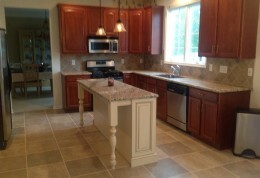 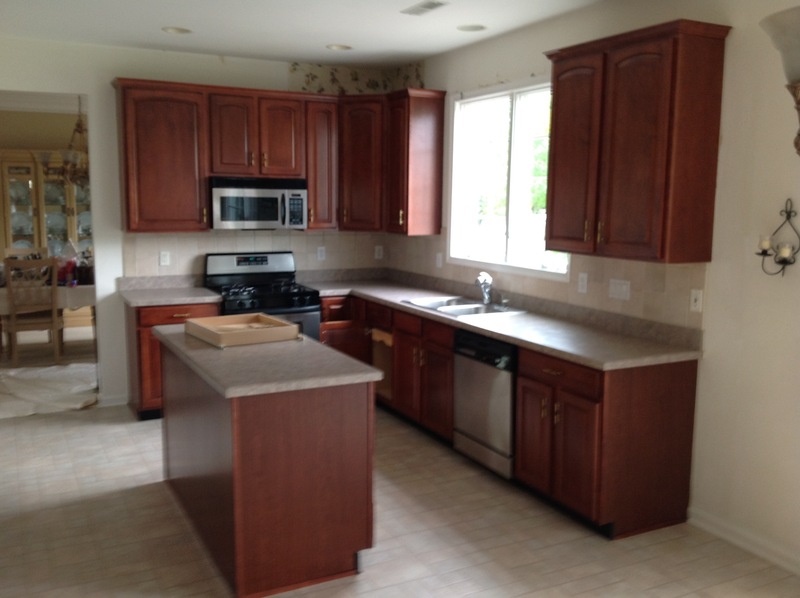 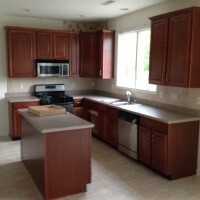 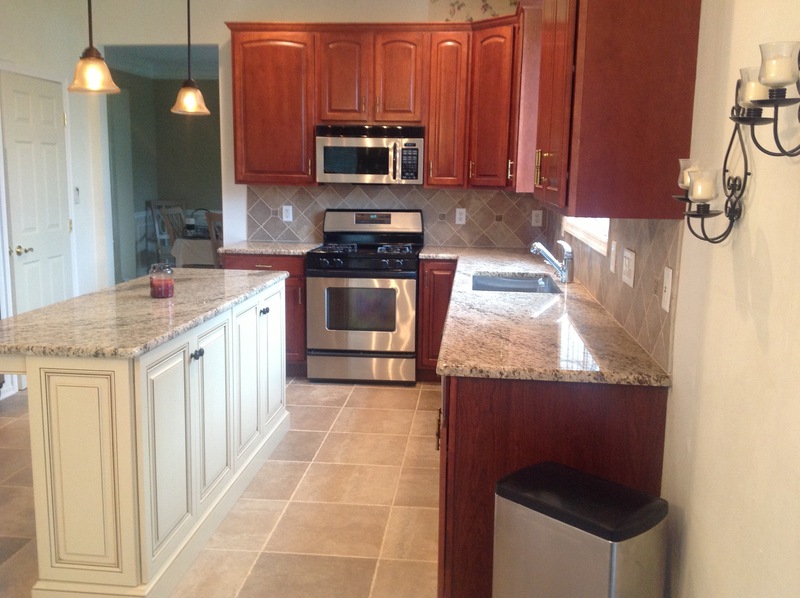 The cabinets were in good shape so we decided to keep them and add new ceramic tile floor, new paint, granite tops, a new center island with a seating area, and new pendant lighting. 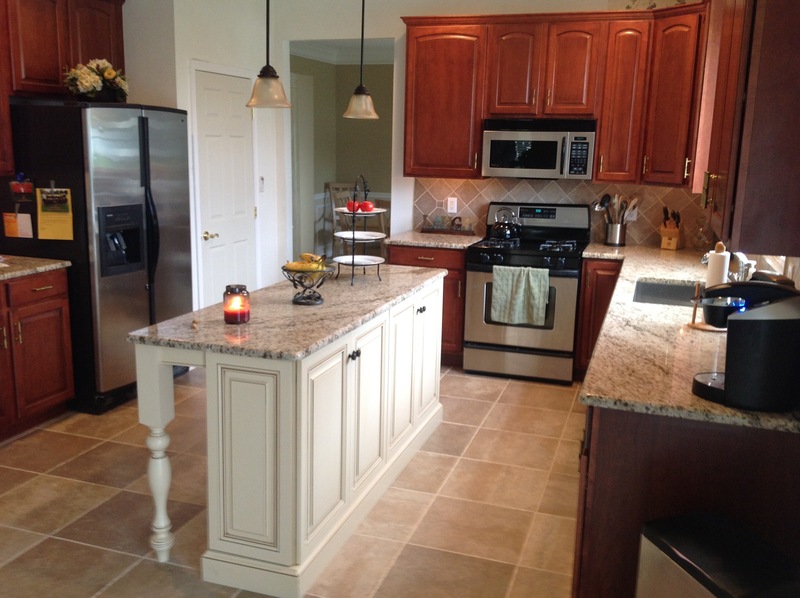 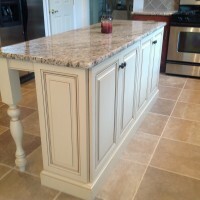 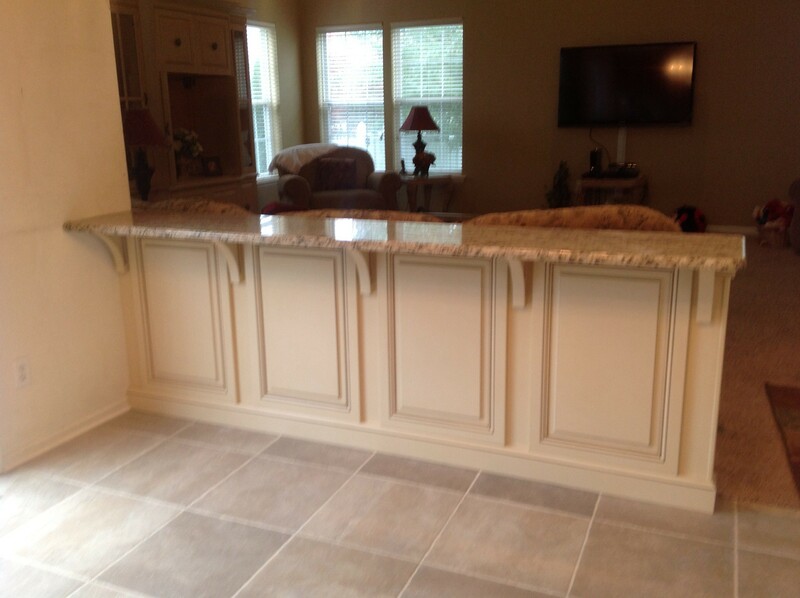 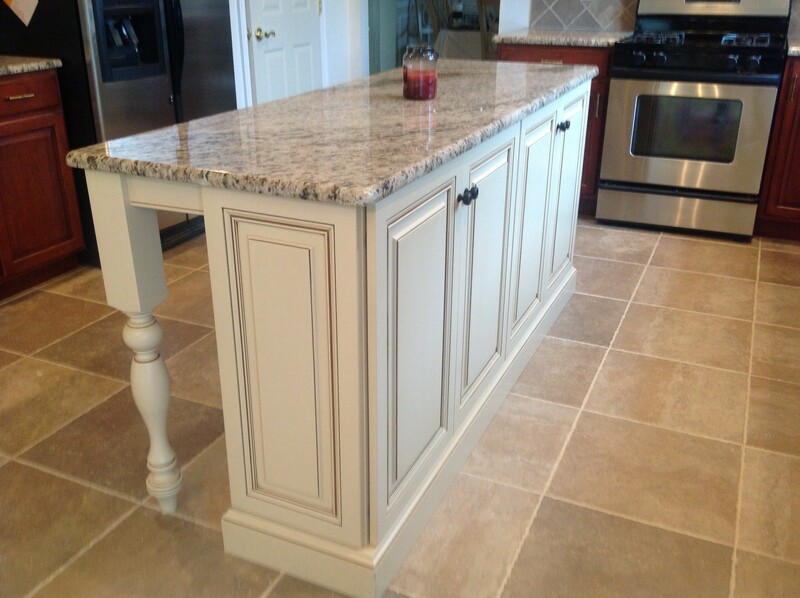 But the thing that made the difference was the addition of a couple cabinet doors, corbels, and a granite top to make another like seating area for entertaining. 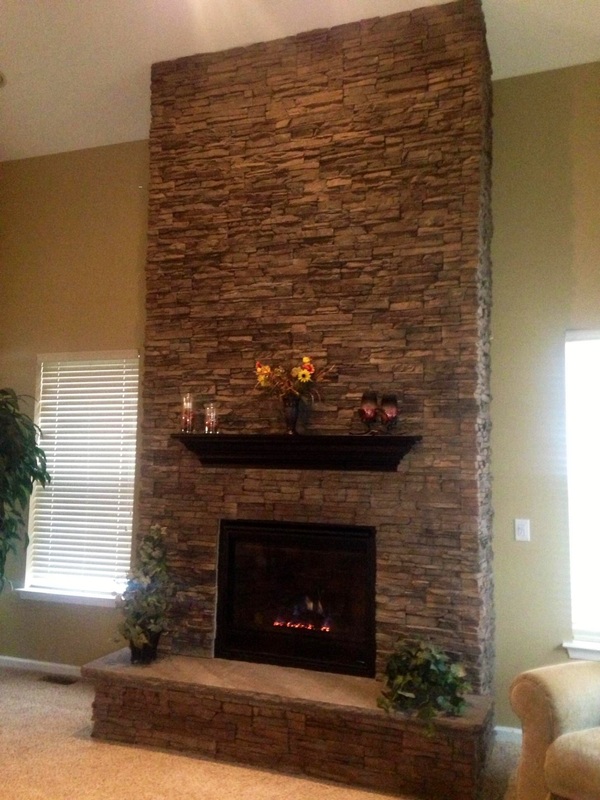 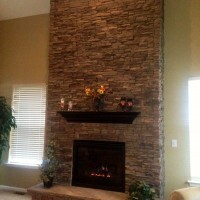 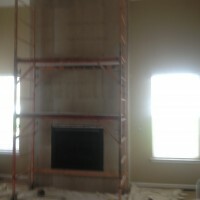 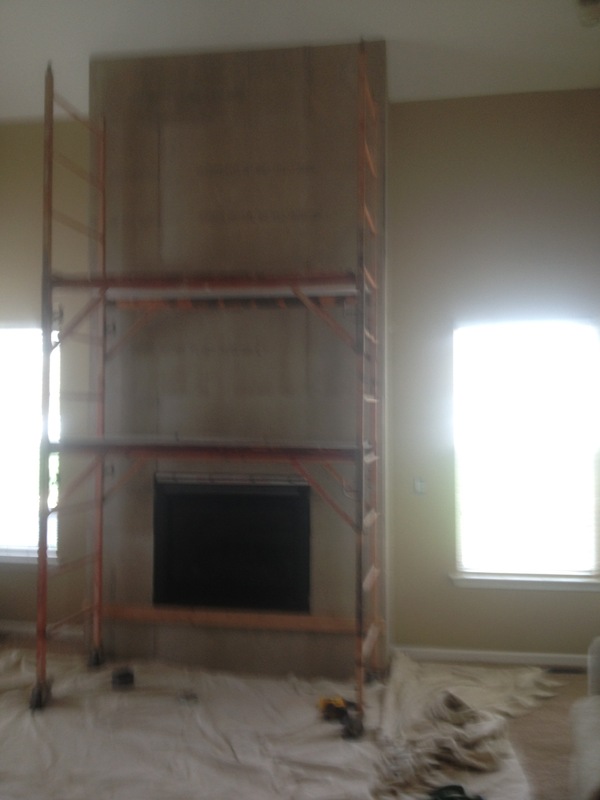 A couple months later this homeowner had us come and install a new gas stack stone fireplace. 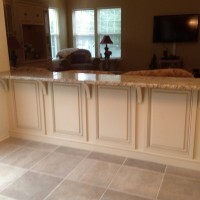 This really finished off the living room area to make it a great entertaining area.